Problem – When you give up alcohol, you are likely to experience withdrawal symptoms. These feelings of discomfort occur because your body is adjusting to living without alcohol or drugs. The acute stage of withdrawal does not usually last more than a couple of weeks, but the post-acute stage can last up to a year or more. This can include symptoms such as insomnia, fuzzy thinking, tiredness, and irritability. Solution: Some of the symptoms of PAWS may be due to nutritional deficiencies, so it is important to eat a balanced diet in early recovery. It can help to speak to a dietician and start taking some multivitamins. Exercise and meditation may help you overcome insomnia, while improving your cognitive functioning as well. The symptoms of PAWS should steadily improve over time. Problem – Alcoholics Anonymous like to tell newcomers that, ‘the good news is you get your feelings back, and the bad news is you get your feelings back’. People who become caught up in addiction are numbing their emotions; when they get sober therefore, it can feel as if their emotions are incredibly intense because they are just not used to feeling them. 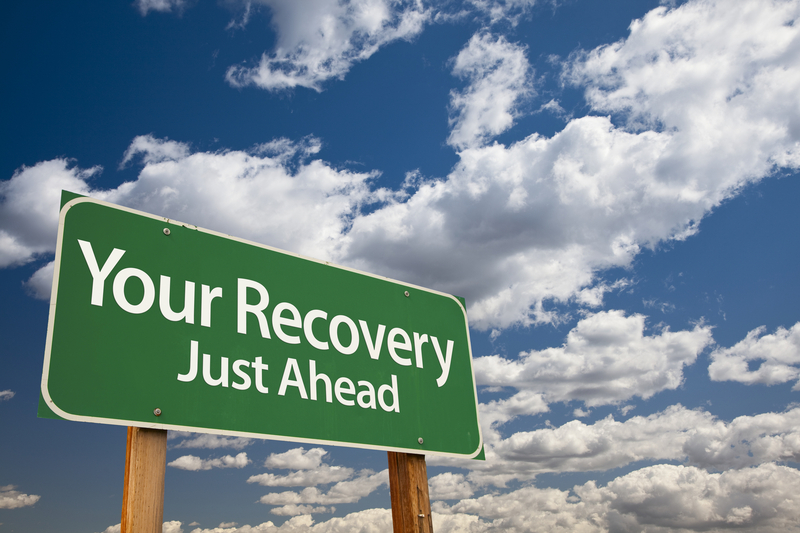 The challenges of early recovery can also mean that this is a very emotional time. Solution: Mindfulness practice can be effective for helping people gain control over their emotions. It can also be helpful to join a recovery fellowship in order to get support and encouragement. One of the benefits of going to a rehab programme is that there will be the opportunity to pick up some tools for dealing with emotions. Problem: Some individuals will experience symptoms of depression due to PAWS, but it can also be the case that these symptoms are due to a dual diagnosis (addiction along with a mental health problem). It is common for people to self-medicate depression using alcohol or drugs – and they might not even be aware that this is what they have been doing. Depression can make sober living difficult, greatly increasing the risk of relapse as well. Solution: If you have a dual diagnosis, you need to have your depression properly managed. This means that you need to speak to your doctor. Mindfulness has been shown to be effective for treating mild depression, and it can help with symptoms of depression due to PAWS. Problem: Anxiety can be another problem that people try to self-medicate using alcohol or drugs. It is normal to feel a bit of anxiety occasionally, but those who have anxiety problems can feel this way much of the time. Solution: Cognitive behaviour therapy (CBT) can give people the tools needed to deal with anxiety. It can make it possible to identify the thought patterns associated with this mental discomfort, and you learn how to replace these negative patterns with more productive ones. You can also learn relaxation techniques to help you calm down if you are already caught up in an anxiety attack. Problem: When you get sober, you will suddenly have a lot of free time on your hands. Unless you find something constructive to do, you could find yourself becoming bored – this is dangerous because boredom is a common relapse trigger. Solution: If using alcohol or drugs has been your main hobby for many years, you may be unsure about what else you can do. The key is to do some experimentation, which can be very exciting. Take up some night classes or join some type of group – if you just cannot think of something interesting to do, go to a fellowship meeting. The one thing you do not want to do is wallow in the boredom. Problem: Giving up alcohol or drugs usually requires breaking away from those of your friends who continue engaging in this behaviour. This means that you can end up feeling isolated; this is dangerous because loneliness is another common relapse trigger. Solution: It is probably going to take you a bit of time to build up a social network, but the best way to speed up this process is to join a recovery fellowship. These groups will not only be able to offer you support during the meetings, but you will usually pick up contact details of people you can contact at any time. It can also be a good idea to get a recovery sponsor as soon as you can. Problem: There are probably many things you did while drinking or drug using that you now regret. One of the common things to experience during early recovery is intense regret and guilt. It can get so bad that the person may decide to drink or use drugs again to escape the pain – it can become a justification to relapse. Solution: The fact that you are sober means that you are doing the best you can to make up for any past mistakes. Feeling guilty doesn’t help you, and it does not help anyone you might have hurt. One of the benefits of doing the 12-steps is that there is a structured way for you to make amends for the past. If guilt and regret is making your life miserable, it is important to speak to a therapist. Problem: You have probably heard about individuals relapsing after a period of recovery, while this may be something you have personally experienced in the past. This can actually be a healthy fear as it means you are taking your sobriety seriously. Solution: As long as you continue to do the right things and do not take your sobriety for granted, you are likely to remain sober. Millions of people have managed to end their addictions long-term, so there is no reason why you cannot do this too. Problem: Family members will usually be delighted that you have broken free of addiction, but there can also be a bit of lingering hurt due to old wounds. It takes time for healing to occur. There can also be a little of resentment as members of the family are forced to adjust to a new way of living. Solution: It can take a few weeks for family members to adjust to the sober you. There may be some initial grumbling due to the need to change routines and responsibilities – for example, kids may have had to take on a lot of responsibility in the past but now need to adjust to the parent taking back these responsibilities. Things will settle down and you just need to be patient and fair – be careful, not to expect too much of others.